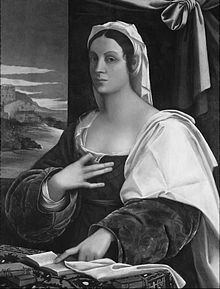 Vittoria Colonna (1492—1547) the marchioness of Pescara, is the most successful and renowned female Italian writer of her day. At age 19 she married Fernando Francesco d'Ávalos — who within two years was off to fight the French. The couple rarely saw each other, for he was often engaged as a military captain under Holy Roman Emperor Charles V. When he died in 1525, as a result of battle wounds, she immediately tried to join a convent. She dedicated herself to writing poetry, including a series of poems in his memory. ---------Who nevermore would come again. She became close friends with Michelangelo in 1536. He made drawings of her, addressed sonnets to her, and they spent a lot of time together. In return, she presented him with a gift manuscript of spiritual poetry. Colonna was an advocate of religious reform, as demonstrated within her poetry and in the prose meditations she published. Some believe that her popularity began to wane as both she and Michelangelo started expressing the Protestant-flavoured theology of grace. Although more formal translations exist, I have included Jan Zwicky's more contemporary free translation of the following poem. it hears the music of all being? in the great wind of that singing?